The first of the shorter, more analytical chapters in Crucible of Pueblos that follow the regional summaries is one by James Potter looking at faunal remains, which in this context basically means animal bones. (I guess this is sort of appropriate for a Halloween post, although animal bones aren’t really as spooky as human ones.) This chapter is basically a series of statistical comparisons of faunal assemblages from different Pueblo I sites, focusing particularly on the large, well-document collections from the Dolores and Animas-La Plata Projects, but also including a few others. Given the focus on these collections, the geographical range of these comparisons is limited to the Central and Eastern Mesa Verde regions. Nevertheless, Potter finds some striking differences between different sites that have interesting implications for understanding their inhabitants’ lives. The first comparisons are of different villages within the Dolores area. Potter uses two widely used calculations, known as the artiodactyl index and lagomorph index, to compare McPhee Village on the west side of the Dolores River to Grass Mesa Village on the east side. The artiodactyl index is a measure of how common large game animals, such as deer and elk, are within the overall assemblage, and is calculated by taking the number of artiodactyl specimens in the assemblage and dividing it by the number of artiodactyl specimens plus lagomorph (rabbit and hare) specimens. The lagomorph index compares the number of specimens of the two most common lagomorph species, cottontail rabbits and jackrabbits, and is calculated as the number of cottontail specimens divided by the combined number of cottontail and jackrabbit specimens. This is an important measure because cottontails and jackrabbits favor different habitats and have different behavior which can shed light on human land use and hunting practices: jackrabbits prefer open spaces such as those created by clearing land for agriculture, and as a result can often be caught within gardens, while cottontails prefer more sheltered brushy environments. Jackrabbits also run to escape predation while cottontails hide, which makes the former more vulnerable to the kind of communal hunting known to have been practiced by Pueblo peoples in more recent times. In the case of McPhee and Grass Mesa Villages both indices show little to no difference between the two; indeed they are nearly identical. This suggests that there weren’t major differences between the two communities in land clearing, communal hunting of lagomorphs, or hunting of artiodactyls. This is maybe not surprising, as the two villages are only a few miles apart and in similar ecological settings. Where they do differ, however, is in another comparison, in this case of the prevalence and diversity of bird remains. 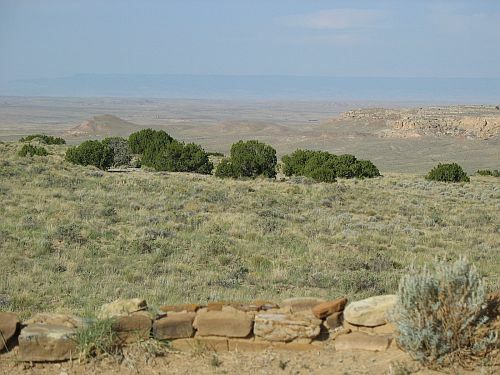 McPhee Village has many more bird remains, representing more than twice as many species, than Grass Mesa, despite the overall sample sizes being similar. 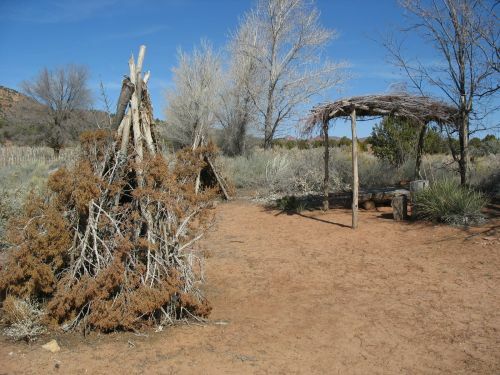 Furthermore, the avian bones are concentrated within McPhee Village at one particular residential site, known as McPhee Pueblo. This is one of the largest residences in the community and has features that have been interpret as reflecting ritual activity at a level higher than the individual residential group inhabiting the site. This site is considered likely to be a prototype of the “great houses” associated with the later cultural phenomenon centered on Chaco Canyon, where many of the inhabitants of the Dolores area are thought to have gone after the demise of the Pueblo I villages there in the late ninth century AD. The greater number of bird species, and the large number of specimens, at McPhee Pueblo reinforces other indications of the special role this site played in the community. Birds have often been associated with ritual among the Pueblos, with the macaws at Chaco being only one of the most spectacular examples. The fact that there is no similar site at Grass Mesa, and that bird remains are much rarer there overall, suggests significant differences in ritual organization at the two villages despite their proximity, which fits with other evidence suggesting they were settled by people from different cultural backgrounds. The second major set of comparisons Potter makes addresses change over time, again within the Dolores area. He compares the artiodactyl and lagomorph indices of McPhee Village and the nearby but earlier community of dispersed hamlets known as Sagehen Flats. In this case, the Sagehen Flats sites had much lower artiodactyl indices, which suggests to Potter that this community had more difficultly organizing hunting parties to capture these large animals than the later, larger, and more aggregated community at McPhee. Indeed, it has been suggested that one reason for the formation of the large Pueblo I villages was the opportunity that larger communities provided for more effective hunting of large animals, especially in high-elevation areas close to large populations of artiodactyls. Sagehen Flats also had a higher lagomorph index value, indicating more cottontails relative to jackrabbits, and suggesting that aggregation at McPhee also included more clearing of land for agriculture, creating the open spaces preferred by jackrabbits. It is also likely that larger communities were more effective at communal hunting, which as noted above would have been easier with jackrabbits. It’s not really surprising that larger communities would have cleared more land for agriculture and conducting larger communal hunts, but this evidence does provide another reason to think that. Bird remains, on the other hand, were present in very similar proportions at both Sagehen Flats and McPhee, with both much higher than Grass Mesa. This likely results in part from the location of Sagehen Flats near marshes with lots of good habitat for waterfowl, but it’s also noteworthy that the bird remains there, as at McPhee, were heavily concentrated in one habitation site. This site, unlike McPhee Pueblo, doesn’t show other signs of having been exceptionally important compared to others, but it is highly intriguing that there were so many birds there, and it suggests that the pattern of unequal ritual influence seen at McPhee, and later at Chaco, goes back even further, at least in this area. 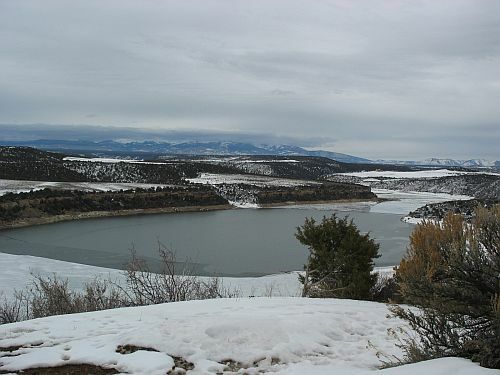 Next, Potter does a broad comparison of several different site areas, this time treating the Dolores sites as a whole and comparing them to the nearby hamlet of Duckfoot as well as the site clusters of Ridges Basin and Blue Mesa to the east near the modern city of Durango, as well as sites in the Fruitland area to the south near the modern Navajo Reservoir. Starting with the artiodactyl and lagomorph indices, Potter finds high artiodactyl index values at Dolores and Ridges Basin, with much lower ones at Duckfoot and Fruitland. The factors mentioned earlier leading to more effective artiodactyl hunting in larger villages are probably one factor here, with another being elevation, with the higher sites having more artiodactyls than lower ones. The lagomorph index is highest at Duckfoot and Blue Mesa and lower at Dolores and Ridges Basin, again echoing the pattern seen before where larger villages show evidence for more land clearing and communal hunting compared to smaller, more dispersed sites. Turning to birds, Potter finds the highest numbers in Ridges Basin, with significantly smaller numbers at Dolores and Duckfoot. (Keep in mind that all of the Dolores sites are lumped together here.) This is likely due in part to the marshy environment of parts of Ridges Basin, but it is also due to much more extensive use of turkeys in Ridges Basin than elsewhere. Following these rather simple comparisons, Potter does a correspondence analysis of all of the areas comparing categories of animal remains: birds, wild carnivorous mammals, domesticated dogs, lagomorphs, and artiodactyls. This analysis shows that the areas have very distinct associations with particular types of animals. Blue Mesa, Fruitland, and Duckfoot are associated with lagomorphs, Dolores with artiodactyls, and Ridges Basin with both birds and dogs. Potter notes that while Dolores and Ridges Basin have very similar artiodactyl indices, as this analysis suggests, they have very different overall percentages of artiodactyls. The index is thrown off because it uses lagomorph numbers to standardize the artiodactyl numbers, which is problematic in cases like this because the number of lagomorphs also differs a lot between the two areas, with a lot fewer of them at Ridges Basin than at Dolores. Next, Potter does a detailed analysis of the Ridges Basin community, comparing categories of remains among different site clusters within the basin. He uses a more detailed set of a categories here than in the previous analysis: mammalian carnivores, birds of prey, waterfowl, dogs, turkeys, game birds, artiodactyls, and lagomorphs. The different site clusters show interesting differences in the proportions of these, with the marshy eastern cluster having higher numbers of waterfowl and turkeys. As mentioned above, turkeys are more common throughout Ridges Basin than in other Pueblo I communities, but there are differences in both numbers and context within the basin. The turkeys in the eastern sites are mostly burials, part of a widespread Pueblo practice of burying domestic animals that likely has ritual significance. In some site clusters, however, there is evidence for processing of turkey remains suggested they were used as food. In the north-central cluster there is one pit structure that seems to have been used as a processing area for turkeys and rabbits, and the same site also had turkey eggshells, suggesting strongly that these were domesticated rather than wild turkeys. Dogs, wild birds, and carnivorous mammals are found mostly as burials throughout Ridges Basin, with some accompanying human burials. This is in contrast to McPhee Pueblo, which as mentioned above had high numbers of wild birds, where remains of ritually important animals like these were found in association with ritual structures. There is no such association anywhere in Ridges Basin, suggesting that while these animals were likely ritually important in both areas, the exact nature of the associated ritual differed. As for artiodactyls, here as elsewhere they were found in greater numbers at the only aggregated site cluster that can be considered a village: Sacred Ridge. 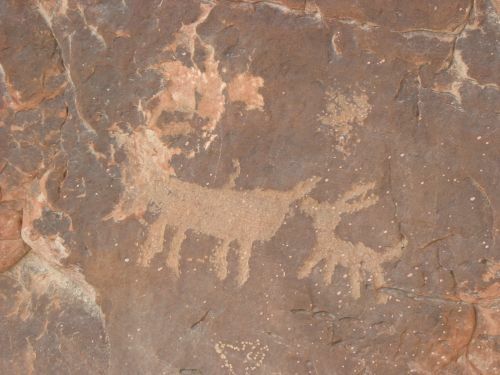 Since this site also has higher numbers of projectile points and processing tools, Potter suggests that the artiodactyls were the result of more effective hunting parties drawn from the larger village population, rather than evidence for special status of the residents of Sacred Ridge or special feasting being conducted there. There are a lot of unusual features to this site, however, so it’s hard to know how to interpret it. That concludes Potter’s analyses. He ends the chapter with some conclusions that they suggest. First, as seen in multiple analyses, large sites tend to have more artiodactyls than small ones, probably because larger, more aggregated settlements allowed for the building of cooperative hunting parties that were more effective at taking down large game. This was a definite material advantage to community aggregation and the formation of villages, a key characteristic of the Pueblo I period that has led to a lot of questions about why and how it happened. It’s noteworthy, however (although Potter doesn’t note it) that the Pueblo I villages were as a rule short-lived and many seem to have been abandoned under duress, so the greater cohesiveness that allowed for these more effective hunting parties seems to have had definite limits under the circumstances. Another pattern that emerges is the association of some sites with marshes and the extensive use of waterfowl, and presumably other marsh resources, at these sites. 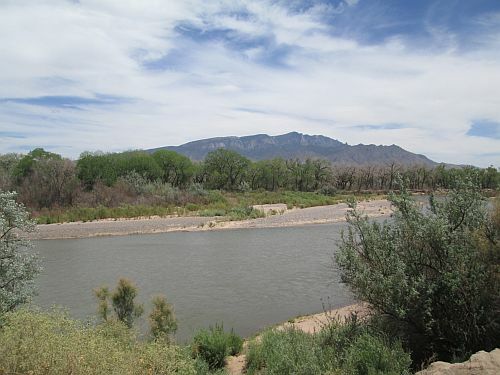 Potter connects this with the general importance of marshes, lakes, and other water places in Pueblo religion and ritual, as well as with the later artificial reservoirs built in the Mesa Verde region. It’s possible that an initial tendency to settle near wetlands because of their practical advantages in terms of resources led over time to a more metaphysical attitude toward watery places, although this remains highly speculative. There is also a tendency over time for a shift in the contexts in which remains of animals of presumed ritual significance, like wild birds and carnivorous mammals, with early sites such as those in Ridges Basin having them largely associated with burials and the ceremonial “closing” of residential sites, whereas at later sites such as those in the Dolores area they are more associated with communal ritual structures. This suggests a shift in use of these religious symbols from the private to the public sphere, which Potter notes has also been proposed over the same period for the use of red ware pottery, which also likely had ritual significance. This shift may have continued into the rise of the Chacoan system, with its increased focus on monumental architecture presumably associated with public ritual. Finally, Potter notes the early importance of turkeys in Ridges Basin, which could be due to general environmental differences across the region but may also reflect earlier depletion of large game in this area compared to others. There is a general pattern through Pueblo prehistory of increasing use of turkeys for meat as artiodactyl use declines, presumably in response to overhunting of local populations. On the other hand, one intriguing thing about the greater use of domesticated turkeys at the eastern edge of the Mesa Verde region during Pueblo I is the genetic evidence showing that domestic turkeys in the Southwest are likely more closely related to wild subspecies found to the east than to those found locally. Could the use of turkeys in Ridges Basin reflect early contacts with peoples further east? Potter doesn’t mention this possibility, and I don’t know if there is any other evidence of such contacts, but again, intriguing. So, yeah, this chapter is a lot more focused than those coming before it, but the results of its analyses are intriguing. As more evidence becomes available from other regions with Pueblo I populations it may be possible to extend these sorts of comparisons further. What Happened to the Fremont? The Madsen and Simms date for much of the region is very close to the “Great Drought” of AD 1276 to 1299 known from Anasazi sites to the south (assuming of course that their dates are in calendar years). Given the low precision of the radiocarbon-based Fremont chronology compared to the tree-ring based Anasazi one, however, it is risky to make too much of coincidences like this, and the wide variation across different Fremont sub-regions suggests that something more complicated is going on here than a simple reaction to a single prolonged drought. The Great Drought may well have affected Fremont farmers, of course, but the Fremont data are not clear enough to establish a definitive association. In general a rough date of AD 1300 for the end of Fremont in most areas is widely used and probably close enough for most purposes. 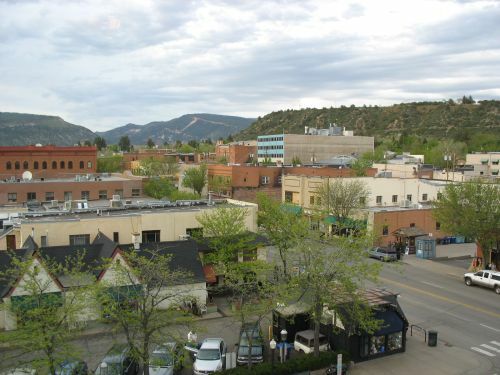 It does seem that some form of the Fremont lifestyle persisted significantly longer in northwestern Colorado, which could have served as a refuge for Fremont farmers displaced from other areas. In keeping with their general interpretation of Fremont as involving a wide variety of adaptive strategies and frequent movements of people between farming and foraging, Madsen and Simms interpret the end of the phenomenon as consisting largely of farmers switching to foraging, along with possible immigration of foragers from outside the region. Basically they see this period as a time when the precarious balance between farming and foraging characteristic of the Fremont period tipped decisively in favor of foraging, perhaps in response to climatic changes that made foraging a more effective subsistence strategy. They died out entirely and left no descendants. They changed their culture and stayed in the same region. The first option is apparently attractive to a lot of people, judging by the popularity of descriptions of ancient peoples as “vanished” and so forth, but it’s actually quite rare for a group to literally die out entirely. It’s certainly possible that this is what happened to the Fremont, especially given the lack of continuity with later groups, but the number of people and large area involved make it implausible. That leaves us with either continuity between the Fremont and the ethnographic inhabitants of their region or a migration of the Fremont to somewhere else. The idea that the Fremont might have developed into the hunter-gatherers known ethnographically in the eastern Great Basin and northern Colorado Plateau has a respectable history in the literature; as I noted in the previous post, James Gunnerson proposed just this back in the 1960s. The distinction in material culture between the Fremont and the Numic-speaking groups that followed them (Shoshone and Ute) is quite marked, however, as Albert Schroeder pointed out at the time. Furthermore, Madsen noted in 1975 that the distinctive Numic pottery is associated with the very different Fremont pottery at several well-dated sites in the region, suggesting that the two groups were distinct but contemporaneous. It is certainly possible that some of the Fremont assimilated into Numic society in some areas, or that the two merged in various combinations, and Madsen and Simms suggest that some such merging may have occurred in the Great Salt Lake area, though it’s not clear from their discussion whether they see the immigrant groups that merged with the Fremont as specifically Numic, as they propose a hiatus between this merged society and the ethnographically known culture of the region, perhaps due to the spread of European disease in the contact era. The whole issue of the Numic groups and how they got to where they are today is important in understanding the prehistory of these areas, but it is a big, complicated issue and I’ll address it more fully in a subsequent post. The material culture differences are significant enough that it seems unlikely that assimilation in place is the answer to the question of what happened to the Fremont in general. As an alternative to seeing the Fremont as turning into the modern Numic groups that occupy the same areas, they may have migrated elsewhere. But where? Another theory noted in my previous post is that proposed by Melvin Aikens in the 1960s that the Fremont originally came from the Plains and ultimately migrated back there to become one or more of the ethnographically known Plains groups, probably Athabascan-speaking (i.e., Apache and/or Navajo). He based this theory on some suggestive parallels in material culture between the Fremont and Plains groups, especially the later Dismal River culture, generally thought to be associated with the Athabascan Na’isha. There certainly do seem to be some Plains-like traits in Fremont culture, including an emphasis on bison hunting, use of the shield-bearing warrior rock art motif, wearing of moccasins rather than sandals, etc. It’s not clear, however, whether these result from actual migrations of people from the Plains to the Fremont area or vice versa (and the two migrations Aikens posits would not be necessary in any case to explain the similarities). Aikens also used some physical anthropological evidence from skull morphology to support his theory, but the usefulness of the type of data he used was disputed even at the time, and it is not taken seriously at all now. Furthermore, more recent physical anthropological research using DNA analysis suggests strongly that there is no genetic connection between the Fremont and modern Athabascans or other Plains groups. In a sample of remains from the Great Salt Lake area the most common mitochondrial haplotype among Athabascans was not present at all, which is quite striking since it is quite common among Native American groups in general. It is of course possible, even likely, that this sample was not representative of Fremont groups in general, but of all the Fremont sub-areas the Great Salt Lake is the closest to the Plains both geographically and culturally, so if there’s no evidence of a genetic connection to the Plains from there it’s very unlikely that one will be found anywhere else. The same study found no clear evidence for a connection to the modern Numic groups either. This DNA stuff is another interesting, complicated issue that deserves its own post, but for now the upshot of this is that the Plains traits seen among the Fremont probably result from contact and cultural diffusion rather than migration in either direction, and the fate of the Fremont remains mysterious. So if they didn’t go east onto the Plains, where did the Fremont go? The next obvious option is that they went south and joined the Pueblo groups with which they had many cultural similarities. This is another idea that has been proposed by some archaeologists, and it also appears to have support from oral traditions. David Pendergast and Clement Meighan published a paper in 1959 reporting that during their excavations of a site in southwestern Utah that would today be considered Parowan Fremont (though Pendergast and Meighan called them “Puebloid”) local Paiutes (a Numic group) told them some things about the people who had inhabited the site that they considered surprisingly accurate given the archaeological evidence. The Paiutes referred to the Fremont by the term Mukwitch, which is also the Paiute term for the Hopis, and reported that they had moved south and joined the Hopis when they left Utah. While their comments on the lifestyle of the Mukwitch and the reasons they had left were rather inconsistent, the consistency of the accounts of where they went is striking. The Paiutes also said that the Mukwitch were quite different from the Paiutes but had lived peacefully alongside them, which is noteworthy in light of the Numic pottery found in association with Fremont pottery mentioned above. This paper has not been taken very seriously by archaeologists, and in fact I have not seen it cited at all in other Fremont literature. The only mentions of it I have seen, in fact, have been in cautions about the problems with taking oral traditions seriously, presumably because of the inconsistencies in the accounts. The accounts certainly are inconsistent on certain points, but consistent on others, and I think this paper deserves more attention from archaeologists wondering what happened to the Fremont. It’s certainly plausible that they moved south to join the Anasazi, and the Hopi are the most likely of the modern Pueblos for them to have ended up at for straightforward geographical reasons. A look at some of the recorded Hopi clan traditions with this in mind would likely be interesting. It’s unlikely that all of the Fremont moved south to join the Hopis, but it’s plausible that at least some did. Others may have stayed in place and been assimilated into the Numic groups spreading across the region, and still others might have died out entirely due to drought, warfare, or other factors. So in some sense we’re back where we started, with no clear answer. But in other senses we do have some answers, at least in ruling out some options: The Fremont don’t seem to have either come from or gone to the Plains, and the Apaches are probably not their descendants. Wherever they did go (or stay), they changed their material culture rapidly and completely to assimilate into other groups, whether Numic or Hopi. This sort of rapid and complete assimilation is actually not as implausible as it seems; there are other examples of it in the prehistoric Southwest, and it must have happened quite a lot if the archaeological record is to be reconciled with the ethnographic one. All this suggests above all that the late prehistoric period, from AD 1300 on, was a time of immense change in the Greater Southwest, which makes it very difficult to figure out what was going on before that. Difficult, but not necessarily impossible. There are some ways to see through the haze. 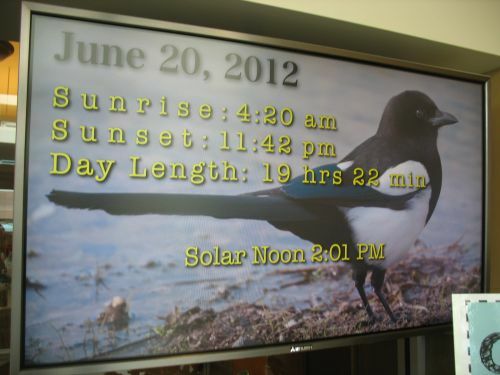 Today is the summer solstice, and here in the “land of the midnight sun” the longest day of the year is very long indeed. In Anchorage, we don’t quite get to 24 hours of daylight, but it is nevertheless well after 11:00 pm as I write this and the sun is still up. North of the Arctic Circle they do have periods where the sun doesn’t set at all, for varying lengths of time depending on latitude. The northernmost community is Barrow, which gets several weeks of non-stop daylight in the summer (with a corresponding period of darkness in the winter, of course). Given that the solstice falls right in the middle of this period of extreme daylight, it might be expected that Arctic peoples would mark it in some way, as many other societies around the world do (including the indigenous cultures of the US Southwest, as extensively documented in prior posts here). And this does indeed appear to be the case, though with a typically Alaskan twist. 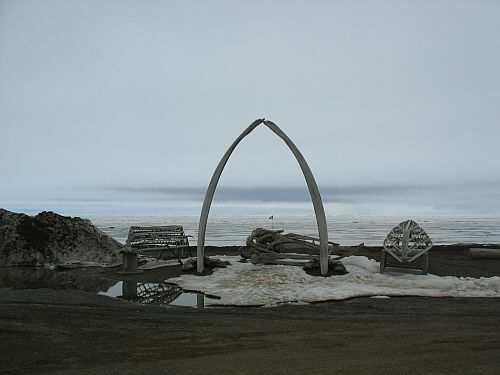 The Inupiaq Eskimos of the North Slope of Alaska, which lies entirely above the Arctic Circle, have traditionally had a whaling-based subsistence system, and to a considerable degree still do. 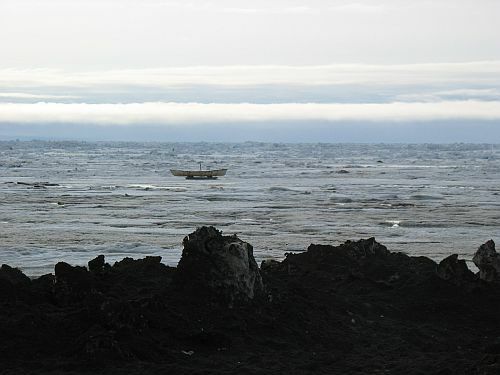 They hunt whales in the spring (and in some villages also in the fall) using a type of traditional skin boat known as an umiak. These are large, open boats made of a wooden frame covered with the hides of walruses or seals, made according to a rigorous traditional protocol. They are used in other areas further south along the Bering Sea coast as well, but their close association with whaling is most pronounced on the North Slope. A recent article by Susan Fair discussed them in the context of their architectural uses as temporary shelters in various settings and their cultural importance in both whaling and the demarcation of ceremonial and other culturally important spaces at certain times. One of those times is the Whale Feast, often known as Nalukataq (although that name technically refers only to the blanket toss that is one of the most famous elements of it). This ceremony is held only in years when at least one whale has been taken, and while its exact date varies it is scheduled for sometime around the summer solstice. As the name “Whale Feast” implies, the main focus of this event is on sharing the meat from harvested whales with the community, and it is an opportunity for the whaling captains (known as umialiit) who own the umiaks to demonstrate their generosity and show off their prowess. Fair focuses in her article on the role the umiaks play in both the ceremony and the social system behind it, in which the small number of umialiit in a village form an elite within it and the umiak serves as a symbol of their power and prestige, but I was more interested in the timing of the feast. The spring whaling season at least in Barrow generally ends in late May or early June (it had recently ended when I was up there at the end of May and there were umiaks with flags raised indicating whaling success all over the place), so having the feast in late June makes a certain amount of just practical sense given the preparations necessary, but I do wonder if there is a deeper significance to the association with the solstice, perhaps as a vestige of a large role for indigenous astronomy in the pre-Contact era. I have not been able to find much information on archaeoastronomy or ethnoastronomy in Alaska, but given the high latitude and spectacular celestial phenomena that abound here I’m sure Native people have long been attuned to the sky. Recent changes, especially aggressive Christian missionization that sought to stamp out Native religion, has obscured a lot of the earlier cultural practices, but I wonder if things like the timing of the Whale Feast preserve bits and pieces of aspects of traditional knowledge that are otherwise forgotten. Certainly a topic that could use more attention, I think. When it comes to stone tools, archaeologists make a basic distinction between “chipped-stone” and “ground-stone” tools. 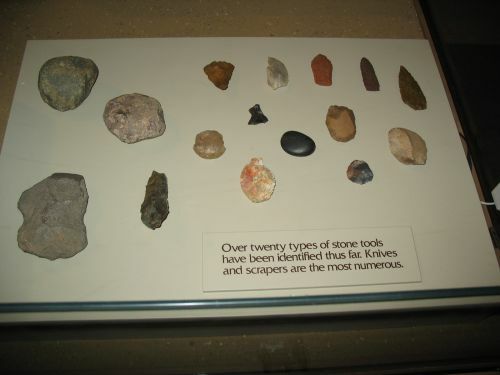 Chipped-stone tools are generally those that need to be sharp, such as projectile points, knives, scrapers, and drills, and are typically made of hard stone that keeps an edge. Some ground-stone tools, such as axes, are also sharp, but for the most part ground-stone tools rely on other qualities of stone for purposes like hammering and grinding. In the Southwest, ground-stone tools are usually made of sandstone, basalt, or other types of stone that are plentiful in the area immediately around a site. These tools are heavy, and it generally wouldn’t have made any sense to import special types of stone to make them when, as is the case throughout the Southwest, there were plenty of rocks around. The types of stone used for ground-stone tools are also generally those used for masonry in areas where masonry construction was typical, including at Chaco, where sandstone was the usual material. Chipped-stone tools are a different story. They are usually small and highly portable, and the best materials to make them are often scattered and not convenient for every habitation site. Thus, widespread trade in chipping stone has very early origins. Hunter-gatherers need very good stone for their projectile points, and also tend to be very mobile, so their chipped-stone tools tend to be very well-made and to be made of high-quality material from a wide variety of sources. Settled agriculturalists such as the Chacoans don’t rely so heavily on chipped-stone tools for their subsistence needs (ground-stone tools like metates are much more important), and they typically put much less effort into both procuring stone for chipped-stone tools and making the tools themselves. When it comes to Chaco specifically, chipped-stone shows a much more muted form of the pattern of massive imports of other goods such as pottery, wood, turquoise, and even food. Cathy Cameron summarizes the patterns revealed by the chipped-stone assemblages from Chaco Project excavations in the 1970s in an article from 2001. The basic pattern is that most chipped stone was from local sources throughout the occupation of Chaco, although “local” really refers to a wider area here than the canyon itself. Good chipping stone is not plentiful in the canyon itself, but abundant sources of good chert and petrified wood occur a few miles to the north and would have been easily accessible to canyon residents in the course of their daily lives (i.e., special trips to gather stone would probably not have been necessary). These local sources always dominate assemblages from Chaco. Imported stone types do increase during the Chaco era from AD 1030 to 1130, especially at great houses such as Pueblo Alto. 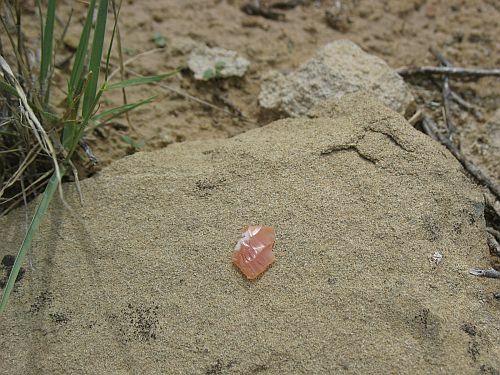 The most abundant import at this time is Narbona Pass chert, a distinctive pinkish type of stone that comes from a very restricted area in the Chuska Mountains to the west. The Chuskas are also the source of many other imports to Chaco, including huge amounts of pottery and wood, but the relative proportions of Narbona Pass chert in the overall chipped-stone assemblages are much more modest. It comprises 21.1% of the total Chaco Project sample for AD 1020 to 1120 and 18.9% of the sample for AD 1120 to 1220. This is much higher than any other type of imported stone ever reaches, and even higher than any single type of local stone for these periods (though much lower than the total proportion of local stone). 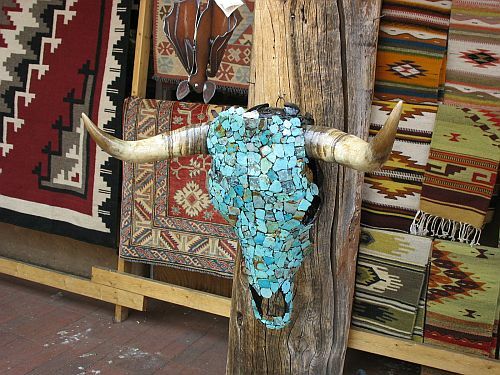 Other imported materials found in notable numbers include Brushy Basin chert from the Four Corners area, a type of yellow-brown spotted chert and a special type of petrified wood, both from the Zuni area, and obsidian. 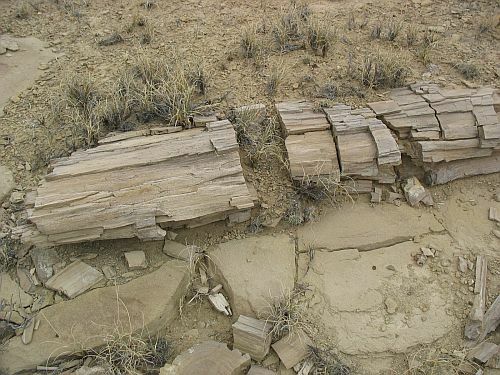 Brushy Basin chert (along with other materials from the same formation) and Zuni petrified wood reach relatively high proportions of the overall assemblage at the same time that Narbona Pass chert does, and Zuni chert does too but at a much lower level. The pattern of obsidian is different, and hard to understand. It’s the most common exotic type of stone before AD 920, rising to as high as 7.6% of the assemblage in the seventh century. 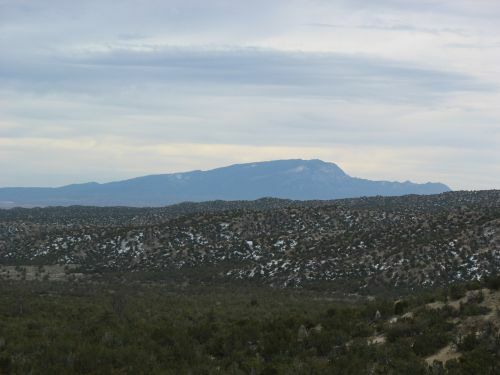 Sourcing studies seem to show that most of the obsidian coming it at this point came from the area around Grants, New Mexico, near Mount Taylor, during this period. Once the Chaco system really gets going, though, the proportion of obsidian plummets to less than 1%. From 1120 on, however, it rises again, comprising 7.3% from 1120 to 1220 and 2% after 1220, still less than Narbona Pass chert but respectable. This obsidian seems to come mostly or entirely from sources in the Jemez Mountains to the east of Chaco. So what were the Chacoans doing with this imported stone? Not much, as it turns out. One of the oddest things about the amount of Narbona Pass chert, particularly, is that it doesn’t appear to have been used for anything special. Like all other types of stone, both local and imported, it was used primarily for expedient, informal tools. 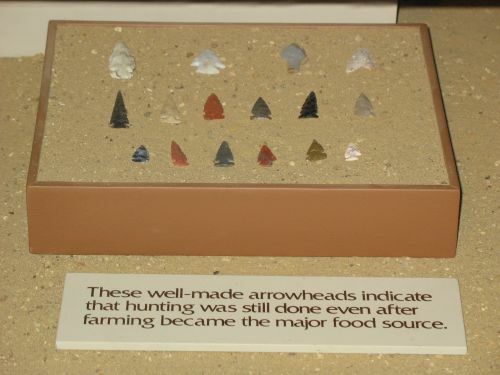 The Chaco Project found 2,991 pieces of Narbona Pass chert, and only 18 of these were formal tools. This pattern is typical for most material types, though obsidian seems to have been more often used for formal tools, many of which were probably imported as finished tools rather than made in the canyon. 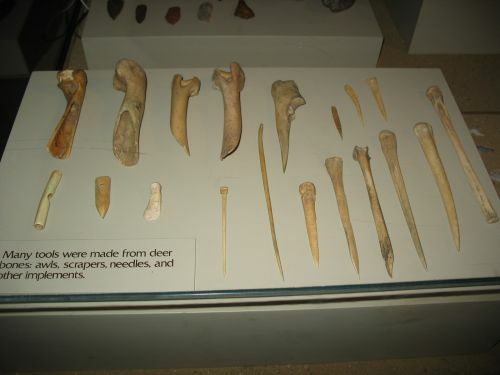 Of the formal tools the Chaco Project did find, of all materials, about half were projectile points, and the rest were various types of knives, scrapers, and drills. So what’s going on here? Hard to say. Cameron evaluates the chipped-stone data in the context of the models for the organization of production proposed by other participants in the conference from which this paper originated, and she decides that Colin Renfrew’s pilgrimage model fits best, with some adjustments. This conclusion is driven largely by the fact that so much of the Narbona Pass chert came from the Pueblo Alto trash mound and the idea that this indicates that it was deposited there as part of communal rituals. I find claims like this dubious, and I think it’s more likely that people in Chaco were just importing this type of stone either because it is so visually striking or because of their strong social connections to Chuskan communities (or both). The thing I find most puzzling is the obsidian. Obsidian was hugely important in Mesoamerica, and in view of the appropriation and importation of many aspects of Mesoamerican culture by the Chacoans, most recently dramatized with evidence for chocolate consumption, it seems very odd that the rise of the Chacoan system would coincide with a steep decline in the amount of obsidian imported. This is particularly odd since the Grants area was very much a part of the Chaco world, and there were numerous outlying great houses and communities near Mt. Taylor. If the Chacoans had wanted obsidian, they could easily have gotten it. And yet, it seems they didn’t. Or did they? Keep in mind that this data is based mostly on Chaco Project excavations, although Cameron does incorporate some insights from a study of formal chipped-stone tools done by Steve Lekson that incorporated other data as well. Lekson’s study noted that Pueblo Bonito in particular had an astonishing number of projectile points relative to most other sites, and I can’t help but wonder if part of the lack of obsidian at other sites was a result of more of it flowing to Bonito. The excavations at Bonito were done a long time ago without the careful techniques of the Chaco Project, so the data isn’t totally comparable, but I’m going to look at the artifact records from Bonito (conveniently made available at the Chaco Archive) to see how common obsidian was there. Speaking of projectile points, another thing Cameron mentions is that many of them seem to have been imported to Chaco, some of them apparently embedded in meat. Others were particularly finely made and left in burials and caches, suggesting that they may have been specially made for votive purposes. That’s probably the case for many of the points Lekson identified as being particularly numerous at Bonito, but what I want to know is why arrowheads were such common grave goods and offerings there. Was there a particular association between Chaco and hunting? The great house residents do seem to have eaten a lot more meat than other people in the canyon and elsewhere. On the other hand, arrows weren’t only used for hunting. Cameron notes that one projectile point found by Neil Judd at Pueblo Bonito was embedded in a human vertebra, and the Chaco Project also found a woman at the small site 29SJ1360 near Fajada Butte who had two points inside her. We often talk about how peaceful Chaco was and how little evidence there is for warfare during the Chacoan era, but I’m starting to wonder about that. It’s certainly true that Chaco itself and most other sites occupied during its florescence show less obvious evidence for violence than sites afterward do, but there are still some signs that things may not have been totally peaceful throughout the Southwest in Chacoan times. Arrowheads in vertebrae don’t get there on their own, after all. Who shot those arrows?